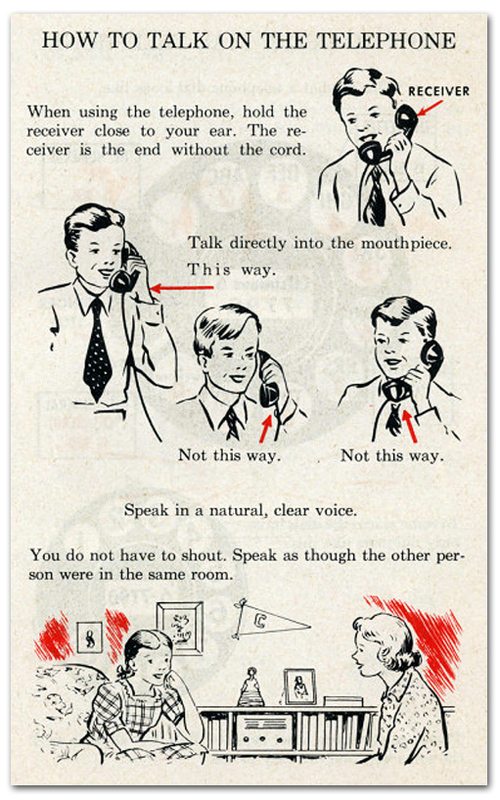 When using your telephone, hold the receiver close to your ear. The receiver is the end with the cord. Talk directly into the mouthpiece. Speak in a natural, clear voice. You do not have to shout. Speak as though the other person were in the same room. Previous PostAwful Food: EnchiladaNext PostDo You?